It all started with a chopping board. Twin brothers, Antony and Richard Joseph, grew up in a family with a long history of design and manufacturing. Originally set up by their grandfather in the 1930s, the family business specialised in the production of glass components and the brothers spent part of their summers working in the factory. In 1999, having both trained in product design, the twins embarked on their early careers. As a sideline to their jobs, and with the support of their father, they utilised the capabilities of the factory in Birmingham to develop their own range of contemporary glass chopping boards. But what started out as a fun project soon became the seed of a new business idea. After early success with their bold, colourful designs their entrepreneurial spirit kicked in and, in 2003, the Joseph Joseph brand was born. Whilst glass chopping boards were the just the start, the brothers were also designing other innovative kitchenware products and this gradually developed into a broader range of housewares. What quickly became a key foundation of the brand was a simple observation - many tasks around the home could be made much easier and more enjoyable with a little intelligent thinking. 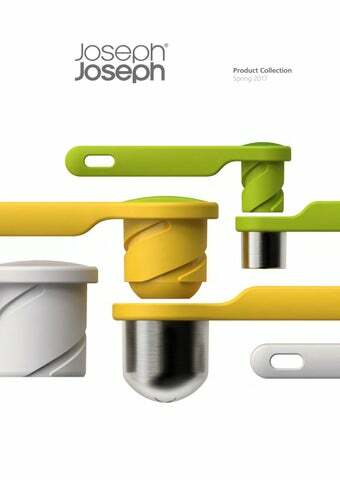 It was this problem solving approach, and the ability to combine it with a distinctive design aesthetic, that created some of their most iconic kitchenware and has made Joseph Joseph one of the worldâ&#x20AC;&#x2122;s most progressive houseware brands. Thereâ&#x20AC;&#x2122;s something special about a Joseph Joseph product that sets it apart from the competition. First it engages you with its distinctive design. Then it captivates you with its functional benefits. Finally, it assures you with its highquality materials and attention to detail. Joseph Josephâ&#x20AC;&#x2122;s ability to blend innovative design, contemporary styling and a distinctive use of colour is unique within the industry. While many brands concentrate on just one of these aspects, Joseph Joseph focuses on the whole user experience - creating products that work beautifully and are a pleasure to have around the home. Since 2003 the brand has expanded successfully into many product areas and it continues to explore new houseware categories. It may have all started with a simple glass chopping board, but Joseph Joseph is now one of the fastest growing companies in the worldwide housewares market and it continues to earn accolades and awards for its unique, innovative designs. tidies, a utensil pot and a 2-in-1 soap pump. inventive ideas and stylish design. a really stylish and practical collection. than their fair share on film nights! to wish you a very successful spring. get more squeezing power from less effort. The 2-piece design is made from stainless steel and nylon and can be separated for easy cleaning. The Helix range includes a garlic press, potato ricer and citrus juicer. Dishwasher safe. Many spiralizers can be fiddly to use and they often create piles of messy noodles. Spiro™, however, makes spiralizing super neat and easy with its clever, compact design. It comes with two styles of spiralizing blade – coarse and fine – for different noodle thicknesses, plus a handy grating blade. It features a soft-grip lid, for easy turning, and two guide arms that help keep food straight as you twist. Most importantly, it has a clear base that collects food as you cut – keeping everything nicely contained and your worktop cleaner. After use, the three blades and the lid store neatly together with the base for compact storage. Dishwasher safe. Design by Goodwin Hartshorn. Design registered. This beautifully compact mandoline has razor sharp stainless-steel blades, set either side of its design, for grating and slicing small foods such as garlic, ginger and mini vegetables. The design features an ergonomic handle, a non-slip tip and a sliding finger-guard on one side for added safety when slicing. It also comes with its own protective sheath for safe storage. One of the problems with conventional zesters is that it can be tricky removing all that precious zest from their blades after grating. Handi-Zest, however, comes with its own mini blade wiper that neatly collects any remaining zest from the back of the blade. Using the wiper, simply slide the zest along the length of the blade to the hole at the end where it can be easily removed. The design comes with its own protective sheath for safe storage. Dishwasher safe. This neat box grater combines four types of grating blade into its pyramid-shaped design and comes with a base for collecting grated food and a lid for storage. The sharp stainless-steel blades are perfect for grating a variety of foods such as cheese, vegetables and whole spices or even zesting citrus fruits. The handy, snap-on lid means that any unused grated food can be conveniently stored in the container for another time and, after use, the entire blade section can be flipped over and placed inside the container for extra-safe storage. This versatile grater has been designed to adapt to different grating tasks and foods with ease. Firstly, it has two different styles of etched stainless-steel blade set either side of its grating surface. Secondly, its handle has two different grating positions for maximum convenience. With the handle locked in the straight position, it’s ideal for grating directly over plates and dishes. But when you twist and lock the handle 90° it creates a naturally sturdy shape for resting on the worktop, providing more support when grating larger quantities of food. It comes with a reversible plastic sheath that protects the blades when stored but can be flipped to allow you to collect and measure grated food. Available in three colours and blade configurations - Coarse & Fine, Extra Coarse & Ribbon and Star & Extra Fine. Multi-peelâ&#x201E;˘ is a comprehensive range of four highly-effective peelers. Each tool has a high quality stainless-steel blade, multiple added functions and ergonomic, easy-grip handles. The range includes two different straight-bladed peelers for everyday use, a serrated peeler for soft skinned fruit or vegetables and a julienne peeler for more specialised requirements. So whether you need the perfect blade for preparing potatoes or one for adding the final flourish to culinary masterpieces, the ideal tool is in your hands. All peelers come with a protective blade guard. Dishwasher safe. Eliminate the need for several different vegetable peelers with this compact design, which incorporates three essential styles of blade all in one unit. Rotary Peeler makes short work of even the toughest fruit or vegetable skin and the design also includes a handy potato-eye remover. Made from high-quality stainless-steel, its three blades are razor sharp and are housed in a tough, plastic, circular case. Simply select the desired blade - standard, serrated or julienne - by rotating the unit’s brushed metal hub, until the desired blade is fully exposed. The case can be opened for easy cleaning and the entire unit is dishwasher safe. Suitable for left or right-handed operation. Wipe clean with a damp cloth. Clever and compact, with an easy-twist handle, this pocket-sized device does away with the cumbersome handles and magnets of other can openers. With the first twist Can-Do attaches itself to the can lid and locks into place, allowing you to open it using the easy-twist mechanism. It works equally well if you’re left or right handed and the lid is released with a simple press of the button on the front. By using downward pressure and a ‘rocking’ motion, this stylish tool breaks up garlic cloves quickly and easily, forcing the pieces up through the array of small holes in its base. The crushed pieces are then held in the curved design, allowing them to be spooned or scraped conveniently into a pan or bowl. Additional cloves can also be crushed at this stage before emptying. Rocker™ is easy to clean under running water but is also dishwasher safe. Available in a range of colours or in brushed metal. Peel garlic quickly and easily with this simple, elegant design. Simply insert whole cloves into the centre of the roll, place down on to the work surface and then roll several times backwards and forwards with the palm of your hand. The polished silicone surface inside quickly removes the garlic skin leaving perfectly skinned cloves ready for chopping or crushing. Unlike other silicone garlic peelers, Scroll™ can be completely unrolled which makes filling, emptying and cleaning much easier. Dishwasher safe. Make authentic homemade garlic or ginger paste quickly and easily with this neat kitchen tool. Its sharp, double-action cutting teeth make short work of cloves and fibrous ginger roots and its smooth surface makes removing the pulp easy. Its versatile design means it can also be used for grating nutmeg and other whole spices. As it’s made from stainless steel, ShredLine™ can also help remove garlic odour from fingers when washing by hand. the extruder plate. The remaining skin or pulp can then be removed with the tip of the lever from the extruding chamber. The unit can be washed under running water where its cone-shaped holes prevent any remaining garlic pieces from being trapped. Styled to look like a salt & pepper shaker, this playful design turns the conventional salt & pepper mill on its head – literally. A clear acrylic window in the body means you can see exactly what the contents are and when they are running low, and the unit is easy to fill and clean. Its tough, ceramic mechanism is also fully adjustable to grind from fine to coarse grain. To use, simply invert the unit and twist the base to grind. The extra-large holes in the cap allow the grounds to fall out, but when the unit is placed down, the cap helps capture and contain any excess salt or pepper. Adding extra flavour to soups, stews and casseroles is now even easier with this handy kitchen utensil. Load the bowl with fresh herbs or whole spices, close the lid and simply stir the flavours in as you cook. Ideal for recipes using whole spices such as cinnamon sticks, dried chillies and cardamom pods that need to be removed before eating. Gusto is also perfect for flavouring pitchers of hot and cold drinks with herbs and spices. Suitable for all types of cookware. Taking its name from the Italian word for ‘half moon’, this traditional utensil for chopping herbs is updated with a design that is both safer and more compact than the original. It has pivoting handles and a sharp stainless-steel blade that slices through fresh herbs and garlic with ease. After use the handles can be folded back over the blade making it perfect for storing in a drawer. Wash and dry by hand. This handy tool, with its four functions, is all you need to cook a delicious, tender piece of meat. Flavouriser™ features two different surfaces for either tenderising or flattening meat, a pestle end for grinding spices for rubs and a citrus reamer for making marinades. Perfect throughout the year, it will really come in handy during the summer BBQ season. Dishwasher safe. Make succulent roasted meats with the help of this compact 3-piece set. The large baster helps you ensure that meat remains tender and evenly cooked, whilst the leavein meat thermometer provides a clear visual guide to the perfect cooking temperature. The third part of this set is a handy cleaning brush, which along with the thermometer, fits neatly inside the baster to maximise on storage space. Baster and Brush - dishwasher safe Thermometer - wipe clean with a damp cloth. Ensure moist, flavoursome meat and poultry with this handy preparation tool. It comprises a hollow stainless-steel nozzle that is attached to a soft silicone bulb. Simply squeeze the bulb to fill with marinades before injecting them deep into the centre of your favourite meat. After use, the nozzle can be removed for easy cleaning and then reversed so that it stores safely inside the bulb. Conventional mashers can be awkward to store due to their long handle and mashing head that are fixed at right angles to each other. Delta solves this problem as the head can be neatly folded flat after use. Before using, simply lock the mashing head in position with the small sliding collar located on the shaft. After use, slide the collar back up the shaft and secure it at the base of the handle. As well as being easier to store, Delta is also more efficient to use. Its curved mashing plate is designed to fit better into the edges of a pan, which means more potato is squashed with each plunge of the masher. Suitable for non-stick cookware. Dishwasher safe. This innovative product incorporates two essential whisks in one stylish design. As a flat whisk, Twist™ is ideal for mixing sauces in low pans or for making gravy in roasting trays. Its silicone-coated steel wires are suitable for non-stick cookware and are perfect for combining ingredients together, preventing them from burning on the bottom of a pan. With a simple turn of the handle, Twist™ also becomes a highly effective balloon whisk, allowing egg whites to be whipped into perfect peaks. Twist™ can be easily dismantled for cleaning and, after use, can be closed flat for convenient storage in a drawer. Its silicone-coated wires are heatresistant up to 270°C/520°F. Dishwasher safe. Most conventional pot stands only provide enough space for standing a single hot pan or dish on, meaning additional stands are required if serving food from a variety of hot containers. The unique design of Stretch™ helps eliminate this problem, as its size can be easily adjusted to provide space for more than one pan, or even a large casserole dish. After use, it folds neatly away for convenient storage. Made from a highquality silicone-nylon composite, it is heatresistant up to 240°C/464°F. Dishwasher safe. Create less mess when serving ice cream with this thoughtfully designed scoop. Firstly, it has a plated zinc-alloy head with a faceted surface which helps release scooped ice cream more easily. Secondly, the tip of its weighted handle is flat which means it can be stored upright between scoops, rather than placed down on the worktop or stuck into tubs. Lastly, it has a flexible silicone collar that catches any melted ice cream and drips before they run down the handle, leaving you free to enjoy your favourite dessert without sticky hands or worktops. Ensure you get the whole juice and nothing but the juice with this innovative citrus reamer. With conventional hand reamers, the extracted liquid needs to be strained before use to remove any unwanted pips and fruit pulp. The design of Catcher™ helps eliminate this problem with its soft rubber cup underneath the reaming head, which catches any debris whilst allowing precious juice to drain through. More comfortable to use than a horizontal hand juicer, Catcher™ is perfect for all kinds of citrus fruit. Dishwasher safe. This easy-action winding corkscrew makes removing corks from bottles an absolute doddle. Simply push the corkscrew down onto the neck of the bottle, grip the sides of the tool and wind the handle to drive the screw into the cork. Continue winding and the cork is removed effortlessly, without the need to lever or pull it out like a conventional corkscrew. Its self-aligning design ensures perfect positioning every time and the non-stick coated thread glides easily into all types of cork. The design also includes twin foil cutters in the tips of its arms. Wipe clean with a damp cloth. Design by Mark Sanders. Design registered. Waiter’s friend corkscrews can be intimidating to use with their two-step action that needs to be reset halfway through. The unique, angled design of our BarWise™ waiter’s friend, however, allows you to remove the cork faster in a single, smooth action. It has a non-stick coated screw thread that glides easily into corks, an integrated foil cutter and a magnetic bottle cap opener. Wipe clean with a damp cloth. When opening several capped bottles in one go, it can get messy with loose caps dropping onto the table and rolling onto the floor. This ingenious design solves this problem by capturing and collecting the caps as they are removed. After removing, the caps fall inside the body of the unit ready for disposal later through the hinged base. Great for parties and picnics. Holds up to 16 bottle caps. Wipe clean with a damp cloth. This stylish bottle cap opener has a convenient, 360° stainless-steel opening edge that means you can prise off bottle caps from any angle. Once off, the caps are then held securely by the magnetic head, preventing them from dropping untidily onto the floor. Holds up to 4 bottle caps at a time. Dishwasher safe. This great-value gift set includes an easy-action winding corkscrew and an any-way bottle opener from the BarWise™ range. See individual products for more details. and supplied in shelf-ready display cases (SRP) with multi-language header cards. USA market only – products are available on individual hanging cards. Serve up mess-free antipasti and olives with this handy utensil. The diminutive design is actually two tools in one. Firstly the long-handled slotted spoon ensures that you can scoop and drain from even the deepest jars. Secondly the integrated fork is perfect for skewering difficult to serve foods such as pickles or sun-dried tomatoes. Both tools clip neatly together when not in use to ensure easy storage. Dishwasher safe. stack additional trays on top of one another in the freezer drawer, helping to prevent water spills and the ice cubes from tainting with any freezer odours. Designed by Graeme Davies. Design registered. each out of its individual compartment. With QuickSnap™ Plus you only release the amount of ice cubes you really need, whilst the rest remain securely in the tray and can be placed back in the freezer. Perfect for serving ice straight into drinks, without touching the cubes. Dishwasher safe. When glazing food before baking, it can be time consuming and messy having to keep dipping your pastry brush into a bowl of glaze mixture. This simple, clever design solves this problem as it has a squeezable, silicone base that can be filled with a variety of glazing liquids. Conveniently, this also allows it to stand upright between uses. It comes with two interchangeable heads – one for egg wash and one for sugar glaze or milk – and has flexible, silicone bristles which are hygienic, easy to clean and won’t fall out into your food, unlike natural brush bristles. Dishwasher safe. Comprising two handy baking utensils in one compact design, this clever tool simplifies the task of dough preparation. Firstly a silicone bowl scraper allows you to get every last bit of mixture from the inside of the bowl. Then a stainless-steel dough cutter makes short work of slicing through your dough, with measurements etched on the blade edge to help you divide it up into evenly-sized pieces. When you’re finished it also makes the perfect tool for cleaning up your work surface too. Both tools attach neatly together magnetically for compact storage. Dishwasher safe. This innovative stainless-steel whisk helps streamline a host of mixing tasks with its unique design, which incorporates a handy silicone bowl scraper. It allows you to make batters and cake mixes with ease and helps empty bowls in double-quick time. A neat, multi-function utensil you’ll wonder how you did without. Dishwasher safe. This simple design makes sifting flour quick and easy with its single-handed operation. As you shake, the sieve handle gently rocks from side-to-side in your hand, stopping sharply as soon as it reaches its furthest point. This movement cleverly simulates the process of tapping the sieve with your other hand, causing the flour to fall. As some recipes benefit from flour being sifted and mixed at the same time, this ingenious design ensures one hand is free for stirring and folding as you sieve. Available in two sizes, it features a fine stainless-steel mesh and the handle can be removed for easy cleaning. Dishwasher safe. This flexible silicone bowl scraper is both useful and hygienic. Its curved form is perfectly shaped to fit the sides of mixing bowls and it has an integrated foot that allows it to be placed down during use, preventing the scraping edges and food touching your work surface. The design also includes a hanging hole for versatile storage. All in all, a great baking tool that reduces mess and improves hygiene. Dishwasher safe. This innovative rolling pin takes the guesswork out of preparing biscuit dough, pizza bases and pastry. It comes with four sets of removable discs that raise the rolling surface by different amounts, to create exactly the required pastry thickness – either 2 mm, 4 mm, 6 mm or 10 mm (1/16, 1/6, 1/4 and 3/8 inches). Now available in a sophisticated new pastel colour palette, this ingenious device also ensures that pastry or dough is rolled to an even thickness throughout and to the exact size required, via measurements on the surface of the rolling pin. Discs - dishwasher safe. Rolling pin - hand wash only. Simply unscrew ends to change discs 3/8" 3/8"
This large, silicone pastry mat provides a hygienic, non-slip surface for preparing all kinds of pastry and icing. It has a handy rolling size-guide printed on its surface and, unlike other pastry mats, an integrated, lockable strap that keeps the mat securely rolled when stored. Dishwasher safe. Not suitable for oven use. Nest™ is the ultimate collection of practical, space-saving kitchenware comprising a unique range of food preparation sets. Their innovative design allows the individual elements within each set to be stacked together, thereby occupying the absolute minimum amount of space, wherever they are stored. There are four different sets available with each item in a set having its own individual features. All sets come in stylish packaging and all items are dishwasher safe. Nest™ Measure is a comprehensive measuring cup set featuring eight cup sizes that snap neatly together when not in use. Additionally Nest™ Mix is a set designed specifically for baking. Each of its three mixing bowls has a stainless-steel egg-cracker and a pouring spout and it also includes an egg-separator that can be clipped on to the side of any bowl. Most small in-pan steamers only provide a single compartment for cooking food. This can be inconvenient, especially if different foods require different cooking times. Nest™ Steam, however, provides three individual pods that are ideal for small portions of vegetables and other foods. Each pod has a non-slip silicone handle and pan rests, and an integrated hook that suspends it safely from the edge of your pan. After use, the three pods stack neatly inside each other for compact storage. This ergonomic colander has several unique features. Firstly, the single vertical handle ensures it remains upright and stable if placed in a sink and, when held, leaves one hand free for operating the tap. Secondly, its square corners make emptying rinsed food much easier and more precise. Lastly, its vertical drainage holes allow liquids to drain away quickly and efficiently and its square shape makes for efficient storage. This simple, stylish product combines the functions of a preparation bowl, colander and a serving bowl in one convenient design. Its integrated colander means you can rinse food in the main bowl and then drain off the excess water, without having to tip the contents into a separate colander or sieve. Once drained the contents can either be tipped into a pan for cooking, combined with other ingredients such as sauces and dressings, or served straight to the table – all using the same bowl. It’s ideal for preparing and serving salads and soft fruits or for rinsing rice and lentils prior to cooking. Dishwasher safe. This unique digital scale brings a whole new meaning to the concept of space-saving kitchen gadgets. When open, its three arms provide a stable platform on which to place bowls and other items for weighing. When closed, the unit folds down to an extremely compact size, enclosing and protecting the screen and controls, which makes it perfect for storing in a kitchen drawer. It has an easy-to-read LCD display, touch-sensitive controls and an auto power-off feature. A convenient ‘add and weigh’ function also allows multiple ingredients to be measured in the same bowl during recipe preparation. The scale weighs/measures in the following units: g, lbs oz, fl.oz and ml. Powered by 1 x 3V CR2032 battery (included). This multi-functional digital scale is a versatile kitchen device which offers two options for weighing. You can either place items or bowls directly on to its top, or flip over the integrated lid to create a measuring bowl for weighing loose ingredients or liquids. Featuring an easyto-read back-lit LCD display and touchsensitive controls, it’s ready to weigh both liquids and dry foods in the following units – gms, lbs, ozs, fl.ozs, mls up to a maximum capacity of 5kg/176.4 fl.oz/11lb/5000ml. A convenient ‘add and weigh’ function allows multiple ingredients to be weighed during recipe preparation and an auto power-off feature maximises battery life. It also has non-slip silicone feet. Bowl - hand wash. Scale - wipe clean with a damp cloth. Powered by 3 x AAA batteries (included). Internal mechanism 2-year guarantee. This versatile, dual-chamber measuring jug can measure liquids from as little as 5 ml (1/6 cup), right up to 1 litre (4 cups). Its square corners and soft-grip handle aid pouring and it has clear, easy-toread calibrations for precise measuring. Available with metric/imperial measurements (cups, ml, fl.oz and pints). Dishwasher safe. The problem with most bookstands is their bulky size and awkward shape which takes up valuable space when not in use. The unique design of CookBook™ avoids this, as it opens and folds exactly like a book, which means it can be stored neatly on a bookshelf until required. When opened, the bookrests, page holders and back stand automatically fold out, providing solid, angled support for most sizes of book or even a tablet. A non-slip foot at the base of the spine keeps the unit safely in place on the work surface during use. be stacked together, thereby occupying the absolute minimum amount of space, when they’re stored. cup (2.5 litre) container that’s ideal for preparing and storing family-sized meals. Each coloured lid snaps tightly onto its corresponding container and features easy-pull tabs for opening. Best of all, when storing, the lids can be snapped neatly together, which means they’re very easy to find when you need them. Lids – top-rack dishwasher safe. Containers – dishwasher safe. Nest™ Storage provides a colourful, space-saving solution to the problem of storing conventional storage containers, which take up precious cupboard space when not in use and require lids and bases to be stored separately. This clever design allows you to store multiple sizes of container in the same space as the largest. Container bases nest neatly inside each other and lids snap conveniently together making them very easy to find. All sets feature airtight lids and clear colour coding for easy pairing. All elements are freezer, microwave and dishwasher safe. BPA-free. dial in the lid, which allows you to clearly date the contents – either with a ‘use by’ or ‘when stored’ date. Simply turn the dial clockwise to set the month and anticlockwise to set the day, with the date being visible in the clear window. Available in a range of shapes and sizes, these BPAfree containers are perfect for use in the fridge or freezer. Date it. Don’t waste it. Bases: Dishwasher safe (top rack). Freezer and microwave safe. Lids: Hand washing recommended. Top-rack dishwasher safe up to 50°C/122°F. Freezer safe. Not microwave safe. lids: Dishwasher safe (top rack). Freezer and microwave safe. GoEat™ is an innovative range of products that are designed to make eating homemade food on the go, easy and convenient. The range comprises a variety of lunch containers that are perfect for transporting sandwiches, salads, soups or snacks. After eating, each item then cleverly compacts down to save space in your bag for the journey home. The GoEat™ range also includes accessories such as a compact cutlery set for added convenience. GoEat™ space-saving salad box This versatile salad box allows you to keep delicate salad leaves separate from other heavy or wet ingredients during their journey from home. It features a large base compartment for dry food, a smaller top compartment for wet food or snacks, a salad dressing pot and a silicone lid with a locking collar. Compartment and lids - microwave and dishwasher safe. Locking collar not microwave safe. GoEat™ space-saving soup pot This innovative leak-proof design features a large base compartment that can hold your favourite soup plus a smaller top compartment that’s perfect for accompaniments, such as bread or croutons. Both compartments are separated by a leak-proof silicone lid, which is held tightly in place with a locking collar. Once the contents are finished, the smaller compartment fits neatly inside the larger one in order to save space in your bag. Capacity: 600 ml (20 oz) Compartment and lids - microwave and dishwasher safe. Locking collar not microwave safe. GoEat™ space-saving snack pot This twin-section snack pot allows you to transport pre-prepared snacks from home in separate, leak-proof compartments. Ideal for packed lunches and picnics, it can be used for anything from yoghurt and granola to vegetables and dips. Compartment and lids - microwave and dishwasher safe. Locking collar not microwave safe. Dimensions 8.5 x 8.5 x 12.5 (9.5*) cm 3½ x 3½ x 5 (3¾*) inches *When compact Capacity Top 100 ml (3.5 oz), Base 240 ml (8 oz). It’s a well-known fact that drinking water and staying hydrated is an important part of enjoying a healthier lifestyle. Many of us acknowledge that we should be drinking more water and this innovative bottle helps you do just that, by tracking how much water you actually drink. The design features a clever lid that automatically counts every time you tighten it after refilling, showing you the number of bottles drunk with a simple column of dots. Each time you close the lid, a new dot will appear in the display window, allowing you to track up to 4 bottles per day. By setting yourself a goal to drink a certain number of bottles, Dot provides a simple reminder of what you’ve achieved and gentle encouragement to reach your goal. Perfect for use around the home, gym or office, Dot is a smart but simple way of improving hydration. Made from impactresistant Tritan™, it has a leak-proof cap and is BPA free. Bottle – dishwasher safe. Lid – hand wash only. Available in two sizes: 400 ml and 600 ml. This striking range of cookware is absolutely perfect for a variety of everyday roasting and baking tasks. Each tin is made from high-quality carbon steel and has a dual-layer non-stick coating, guaranteed for 10 years. They have large easy-pull handles at the front, which makes oven removal safer, and wide side handles for easy carrying. Like all Nest™ products, their innovative design allows the individual elements of the set to be stacked neatly together, thereby occupying the absolute minimum amount of space when stored. Suitable for cooking temperatures up to 230°C (450°F)/Gas Mark 8. PFOA-free. Hand wash only. This fun popcorn maker allows you to make a single 30g (1 oz) portion in one go, so it should put an end to arguments over who’s eaten more than their fair share on film nights. What’s more, it’s made from high-quality, heat-resistant silicone, so it won’t melt with the high temperatures created in the microwave when popping corn. It has an integrated measuring guide in the base and lid flaps that conveniently open when the popped corn is done and reaches the top of the maker. With no oil or butter required, it’s a great way to make the perfect healthy snack. Available as a 2-pack. One of the most convenient and healthiest ways to make popcorn at home is in your microwave oven as no oil or butter is required. However, the heat created when the popcorn ‘pops’ can melt many plastic bowls. Our M-Cuisine™ popcorn maker solves this problem as it has a silicone insert in its base that can withstand the high temperatures involved. It also features a perforated lid that allows you to shake out any unpopped corns that might be left over after cooking. The spherical design allows any added flavourings to be evenly distributed and it makes the perfect serving and sharing bowl. Dishwasher safe. alone microwave plate. Integrated handles on the cooking pot and lid ensure all pieces can be safely removed from the microwave and carried to the table for serving. Dishwasher safe. Cooking guidelines included. two convenient carry handles. To use, simply measure the desired quantity of rice or grains into the colander and then rinse and drain. Place the colander into the cooking pot, add the correct quantity of water and then secure the lid on top using the rice paddle. Fluff the rice or grains with the rice paddle before serving. Dishwasher safe. Cooking guidelines included. When cooking pasta, reduce the amount of washing up with this clever design that allows you to cook, drain and serve all in one. Simply add pasta to the cooker and cover with water. Microwave for the specified time and then drain quickly and easily using the integrated colander. The design features a handy portion guide for spaghetti, a waterlevel indicator for efficient cooking and easy-carry edges. Dishwasher safe. Cooking guidelines included. allowing you to handle them straight from the microwave* - no need for a tea towel or oven gloves. Splash-proof lids with steam vents help reduce mess and their stylish design means they can be taken straight to the table. *Based on recommended maximum cooking time. Cool-touch plate This large plate is perfect for heating ready-meals, leftovers and defrosting foods. Cool-touch mugs These mugs are perfect for heating drinks, soups or stocks and even making mug cakes. Cool-touch large bowl This large 2-litre (2.1 qt) bowl is perfect for heating soups and stews or cooking foods from scratch. Cool-touch dish and bowl These are perfect for heating up soups, stews or leftovers. Preparing perfect poached eggs in a pan can be a tricky but cooking them in water usually gives the best results. Now this can be quickly and easily replicated in a microwave oven with this thoughtful design. First, add water to each compartment, then break an egg into each using the integrated egg cracker and then top up with water to the fill line. Cover with the lid and microwave on full power for the specified time. To serve, simply lift and drain each egg using its individual colander. Dishwasher safe. Cooking guidelines included. back down onto its flat base and then microwave for the required time. Suitable for creating omelettes with a maximum of four eggs. Dishwasher safe. Cooking guidelines included. The Elevate™ range comprises a variety of essential kitchen tools - including spoons, turners, tongs and spatulas - in a host of materials. Tools with nylon heads are perfect for use with non-stick cookware and are heat-resistant up to 200°C/392°F. Those with silicone heads are heat-resistant up to 270°C/520°F. Elevate™ Nylon & Silicone Nylon tools are available individually or in a variety of sets, which come stylishly boxed, making them an ideal gift. The Elevate™ Carousel Set comprises six tools from the range with a rotating storage stand. Made from tough ABS plastic and with a non-slip rubber base, the carousel is perfect for storing on the kitchen worktop. Simply twist the top of the unit to rotate for easy tool selection. All Elevate™ Nylon tools come with heat-resistant silicone handles. Tools - dishwasher safe. Carousel - wipe clean with a damp cloth. Elevate™ Carousel Set with Tongs This stylish 6-piece set contains a range of essential kitchen utensils, a pair of lockable stainless-steel tongs with heat-resistant silicone tips and a smart rotating storage stand with a non-slip base. Each utensil features a heat-resistant silicone handle and a tough, Nylon head that’s suitable for nonstick cookware. Elevate™ 4-piece kitchen tool sets These 4-piece sets contain a variety of essential kitchen tools, all with weighted handles and integrated tool rests. Each utensil features a heat-resistant silicone handle and a tough, Nylon head that’s suitable for non-stick cookware. Stainless-steel tongs have lockable arms and heat-resistant silicone tips. All tools dishwasher safe. Elevate™ Steel The Elevate™ Steel Carousel Set features tools with high quality 18/8 stainlesssteel heads and ergonomic, heat-resistant silicone handles with colour-coded ends. The set comprises five essential tools plus a rotating storage stand with a non-slip base. Tools – dishwasher safe. Carousel – wipe clean with a damp cloth Tools not suitable for non-stick cookware. Elevate™ Steel Tongs These stylish tongs are made from stainless steel and have heat-resistant silicone heads. They are gently spring-loaded and can be locked and unlocked easily using the end of the handle. The silicone heads are perfect for use with non-stick cookware and are heat resistant up to 270ºC/520ºF. Dishwasher safe. This simple but effective kitchen utensil allows you to scoop, drain and serve food straight from a hot pan or baking tray. It’s available in two sizes, both with silicone handles and each with their own individual features. the side of a pan as it drains. The small version has a specially designed front edge that makes it ideal for scraping food from non-stick baking trays. Both sizes are heat resistant up to 200°C/392°F. Dishwasher safe. This ergonomic utensil combines the features of conventional kitchen tongs with those of a large flat turner, allowing you to lift and turn even the trickiest foods with ease. The carefully angled arms and wide flat tips are ideal for getting under steaks, burgers and even large fish fillets. Its silicone tips are suitable for use with non-stick cookware and are heat-resistant up to 270ºC/520ºF. Finally, it has lockable arms for compact storage. Dishwasher safe. If you’re tired of searching through the kitchen drawer for the correct utensil, or simply want to reduce clutter, Uni-tool™ is the perfect solution. The ultimate in space-saving design, Uni-tool™ is five utensils in one. Made from tough nylon and silicone, it is safe for use with non-stick cookware and heat-resistant up to 200°C/392°F. Dishwasher safe. Nest™ is the ultimate collection of practical, space-saving kitchenware comprising a unique range of food preparation sets. Their innovative design allows the individual elements within each set to be stacked together, thereby occupying the absolute minimum amount of space, wherever they are stored. tools, this innovative design now comes with a separate storage stand which holds any utensils that aren’t in use. When nested together, each tool is held securely in place by small magnets in the handles. This colourful set not only looks great, but its compact design eliminates the need for an additional utensil pot. All utensils are heat-resistant up to 200°C/392°F and are dishwasher safe. Since its launch in 2008, Index™ has been a worldwide bestseller, helping reduce cross-contamination of food with a simple-yet-effective, colour-coded system of boards. Whilst the original concept has always remained the same, the range has undergone a series of design refinements and product extensions over the years, culminating in this latest range of iconic products. Index™ Compact Index™ Compact is the latest variant in the range and features the same key benefits of the original, but with a design that is specifically tailored to smaller kitchens. Firstly, the upright case design takes up less room on the worktop and secondly, its open sides mean that the boards can be easily taken out, even when stored underneath cupboards. As before, the knife-friendly boards feature easy-grip tabs with food-type icons, non-slip feet and sloping edges to catch crumbs and liquids. The storage case also has a non-slip base. Chopping boards – dishwasher safe. Storage case – wipe clean with a damp cloth. Index™ Mini Index™ Mini’s compact size makes it perfect for smaller preparation tasks or spacelimited kitchens. These diminutive boards come in an easy-access, space-saving storage case and feature index-style tabs to indicate which food type they should be used for - raw meat, vegetables, fish and cooked food. All boards have non-slip feet and sloped edges to catch any stray food and juices. Available in silver or graphite case colours. Chopping boards – dishwasher safe. Storage case – wipe clean with a damp cloth. with food-type icons, non-slip feet on both sides and sloping edges to catch crumbs and liquids. The storage case also has a non-slip base. Index™ with knives Index™ with knives is the most comprehensive set in the range, comprising four colour-coded, non-slip chopping boards plus four co-ordinating knives. Each knife has a tough, stainless-steel blade designed to suit its specific task, an ergonomic handle and is colour-coded to match its corresponding board. Chopping boards – dishwasher safe. Knives - wash and dry by hand. Storage case – wipe clean with a damp cloth. Index™ Steel Index™ Steel has a durable, brushed stainless-steel case and four large, colour-coded chopping boards. As well as the iconic tabs, each board includes its own specialised cutting feature: a juice-catching groove on the meat board; a sloping rim for catching food and liquids on the vegetable board; an integrated fish-grip on the raw fish board and crumb-catching grooves on the cooked food board. This colourful set of chopping mats are perfect for a range of food preparation tasks and conveniently snap together for easy storage. Each board has a doublesided, knife-friendly cutting surface and is clearly colour-coded, making it easier to keep specific Planches for specific tasks. The ‘hole’ detail is designed to allow the Planches to be joined by simply pushing together, and it also provides the perfect hanging point. Dishwasher safe. easily guided. Each board also features a textured, knife-friendly cutting surface and non-slip feet. Dishwasher safe. Our ever popular Chop2Pot™ folding chopping board design is reimagined using high-quality bamboo. As well as providing a beautiful natural look, the hard-wearing properties of bamboo make it ideal for all types of food preparation tasks. A single silicone hinge down the middle makes it easy to fold and pour food to a pan, and it features non-slip silicone feet on the base. Available in two sizes. Wash and dry by hand. Designed by Mark Sanders. Design registered. Chop2Pot™ is our original, award-winning folding chopping board. Laid flat, it provides a durable, knife-friendly cutting surface for all types of food preparation. But when the handle is squeezed, the sides of the board fold up, forming a convenient chute down which chopped food or waste can be neatly guided. This latest version of the design still employs the same proven ‘living-hinge’ technology to achieve its transformation, but also features a textured cutting surface, comfortable soft-grip handle and non-slip feet. Available in three sizes and a variety of colours. Dishwasher safe. Designed by John Brauer and Joseph Joseph. Design registered. Cut&Carve™ Plus is our popular double-sided, multi-function chopping board. It has an integrated meat grip on one side of the board, angled cutting surfaces and easy-pour corners, which help in the collection and disposal of liquids or food when cutting or carving. The opposite side of the board provides a smooth cutting surface, for general food preparation, and it also has non-slip feet and softgrip sides. Available in a range of colours. Dishwasher safe. Rinse&Chop™ Plus is the latest version of this hugely popular, folding chopping board, incorporating an improved, curved colander feature and a non-slip base. When folded and locked, its unique, innovative design creates a small colander at one end enabling food to be rinsed and drained. When opened and laid flat the design becomes a knife-friendly, non-slip chopping board. Once chopping is complete the board can be folded and locked again to create a convenient chute down which chopped food or waste can be poured. Its non-slip edge prevents the board from sliding if stored upright and the locking hole in the design doubles as a convenient hanging point. Dishwasher safe. Made from toughened glass and with non-slip rubber feet, these multi-function boards provide a hygienic, odour - and stain-resistant work surface for all types of food preparation and presentation. In addition they can be used to protect tables and worktops from serving bowls and dishes. Available in a wide range of designs, they are heat-resistant up to 280°C/536°F, dishwasher safe and carry a lifetime guarantee against breakage. For parents with young children, safety around the home is paramount. And when it comes to sharp kitchen knives many people feel happier hiding these items away in a drawer. But then the drawer needs to be secured, the blades can be easily damaged and the knives can be dangerous to take out when needed. LockBlock™, however, provides the perfect solution. The innovative design locks knives safely inside the block and requires an adult-sized hand to operate it, meaning that most children aged 5 and under will be unable to remove any knife*. As each knife is placed inside a knife slot, its blade is held securely by the unique Cam-lock™ mechanism. Pulling on a knife only increases the force of the grip so knives cannot be simply forced out of the block. To remove a knife from LockBlock™ the release button, situated on either side for left and right-handed operation, needs to be firmly pressed. *In tests 96% of children aged 5 and under were unable to remove knives. This product is not a substitute for adult supervision. Always keep knives away from children and never leave a child unattended. have precision, taper-ground edges for effective use. Knives - wash and dry by hand. Block - wipe clean with a damp cloth. These knives are made from Japanese 420J2 stainless steel and have precision, taper-ground edges for effective use. Their ergonomic handles have a textured, nonslip grip and a large bolster to help protect fingers. They are also colour-coded to match their corresponding knife slot. weighted handle with an integrated tool rest, ensuring that when an Elevate™ utensil is placed down, its head is always raised off of the work surface. Elevate™ Knives are all made from stainless steel and have non-stick, silicone-coated blades and comfortable, ergonomic handles. They are available individually with their own protective storage sheath or as a set of six with a stylish, rotating knife block. Elevate™ Knives Carousel Set includes a sturdy knife block with a non-slip base and universal, magnetic knife slots that hold the knives securely in place when stored. This innovative design means that any Elevate™ knife can be stored in any slot, regardless of blade length. Knives - wash and dry by hand. Carousel - wipe clean with a damp cloth. efficient. Sheaths have a non-slip base for safe sharpening. Knives - wash and dry by hand. Sheaths - wipe clean with a damp cloth. Design by Studio17 Design. Design registered. The unique, swivelling design of this stylish knife sharpener provides two key features. Firstly, when opened out, it creates a safe, ergonomic handle to hold when sharpening. Then, when finished, the handle folds neatly away again, creating a compact unit that stores easily in a drawer. It has coarse and fine ceramic sharpening wheels for maintaining knives with a variety of blade conditions from dull through to damaged edges. Non-slip feet on the base give added stability. Suitable for most types of stainless-steel knives. Not suitable for serrated or ceramic blades. Wipe clean with a damp cloth. This stylish range of sink-side accessories, help organise your space beautifully and include tough, fingerprint proof stainlesssteel bodies and non-slip feet. Each item in the range has it’s own unique features which are detailed below. Surface™ Stainless-steel sink tidy small Keep wet sponges and dish brushes nicely organised with this sturdy, compact sink tidy. The main compartment is divided into two and has room for a scourer and a brush. At the front of the unit there’s also space to store a wet sponge, which is held in place by an integrated rail. The ribbed, sloping base ensures any excess water or soap suds collect out of sight inside the unit for draining later. Wash and dry by hand. Surface™ Stainless-steel sink tidy Keep your whole sink area neatly organised with this really useful sink tidy. The main compartment is divided into two and has ample room for a detergent bottle and a dish brush. At the front of the unit there’s space to store a variety of wet sponges or scourers, which are held in place by an integrated rail. The ribbed, sloping base ensures any excess water or soap suds collect out of sight inside the unit for draining later. Surface™ Stainless-steel knife & utensil pot Storing knives and utensils has never been easier with this smart, dual function unit. The main compartment is split into two. One side provides ample room for storing a variety of long-handled kitchen tools and the other side contains a series of slots, providing the perfect area for storing sharp blades. Located at the base of the unit is a removable spoon rest, making this a highly practical design for any kitchen. Surface™ Stainless-steel cutlery drainer Drain and organise your cutlery straight after hand washing with this simple, smart design. Its main compartment is divided into three, which allows you to group similar items together as they dry. It also has a separate, shallower section for storing smaller items such as teaspoons, preventing them from getting lost at the bottom of the unit. Its sloping base allows water to collect inside, out of sight, and it has an integrated spout for emptying. This stylish soap pump provides comprehensive hand cleaning and odour removal in one neat design. Firstly, it operates just like a conventional soap pump, dispensing liquid soap by pushing down on the large pump head. However, the stainless-steel top of the pump head is actually a removable soap bar, which can be lifted out and used to help remove strong odours from fingers, often left behind after handling foods such as onion and garlic. The design is easy to fill and also features a drip-catching base and non-slip feet. to drain freely, a fixed draining spout for emptying into the sink and non-slip feet. The whole unit dismantles for easy cleaning. Hand wash only. Assembly instructions included. versatile drainer can be extended to create additional draining space that’s perfect for cups and bowls. A moveable cutlery drainer allows for flexible use and non-slip feet to ensure that, wherever it’s used, the unit will be secure and stable. The steel rack can be removed for easy cleaning. Wash and dry by hand. Made up of three movable components, this highly adaptable drainer can be placed in a number of different ways to make the most of the sink space you have. With widely-spaced spikes that allow for all types of washed items to be dried and an integrated spout that drains excess water, it’s perfect for washing up after single or even family-sized meals. The cutlery holder can be placed anywhere on the rack for maximum convenience, and the non-slip rubber feet will ensure that no matter how you set Connect™ up, it will stay in place. Hand wash regularly with warm soapy water. This clever, reversible design allows you to drain the washing up virtually anywhere and is perfect for creating additional draining space when required. Both sides of the board have sloping ribs that prevent water being trapped in the mouths of upturned cups and bowls. On one side an integrated spout allows water to be drained directly into the sink, but when the board is flipped the design captures the excess water, trapping it at the opposite end for draining later. Non-slip feet on both sides keep the unit firmly in place on the work surface. Dishwasher safe. Flume™ Folding draining mat Design by Studio 17. Design registered. These handy mats provide a soft rubber surface for draining a variety of items and are perfect for creating extra draining space when required. The distinctive parallel ribs prevent water from being trapped in the upturned mouths of cups, glasses and bowls and help direct water to the central channel, from where it can be easily drained. By simply picking up the corners either side of the central channel, Flume™ will naturally fold allowing water to be gently poured away. Updated for Spring, this new design is easier to clean, provides a flatter surface for draining glassware and now comes in a new larger size for even more draining space. The washing up has never been so organised, with this highly practical design. The main body of the unit provides ample space for storing a washing-up liquid bottle and brush, and the integrated rail provides hanging and drying space for damp dishcloths. A large draining plate within the base creates a dedicated area for placing wet sponges, and the concealed reservoir beneath the unit collects any drained water ready for disposal. The entire unit can be dismantled for easy cleaning. Available in two sizes. Dishwasher safe. This stylish design provides organised storage for a variety of washing-up equipment and, because it sits neatly inside the sink, any excess water or soap drains conveniently away. The design incorporates a rubber dish-brush grip, a sponge-draining compartment and a dishcloth hanging-rail. Perfect for where space around the sink is limited, the whole unit can be dismantled for easy cleaning. Dishwasher safe. Designed by DonaldWentworth. Design registered. Protect delicate glassware and crockery with Sink Saver™, a clever two-piece mat that can be placed in the sink in a number of different configurations to fit around your plug position. 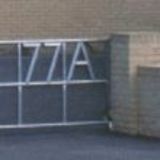 It comprises two grid-like sections that lock neatly together to create a secure base with a soft rubber surface. It also has raised non-slip feet that allow water to drain away and air to circulate freely. Wash and dry by hand. a brush and sponge. SinkBase™ Plus is a 3-piece set which also includes a squeezy detergent bottle that can be refilled with your favourite soap liquid. Both units dismantle for easy cleaning. Hand wash only. Scouring sponge with soap-dispensing capsule Design by DonaldWentworth. Design registered. In order to get a satisfying lather when washing up, liquid soap needs to be added to the sponge repeatedly. This not only results in wasted soap but the bottle also needs to be kept close to hand, creating more clutter around the sink. Soapy-Sponge™ solves these problems as it contains a refillable soap-dispensing capsule inside that slowly releases the optimum amount of soap liquid as you wash. Simply pop the capsule out of the sponge, fill and replace. The sponge itself also has a triple-layer construction for different cleaning tasks and it comes with its own sponge holder for quick, hygienic drying. After use, remove capsule and rinse sponge in clean water. Scouring side of sponge not suitable for delicate surfaces. SmartBar™ takes hand washing to a whole new level with its multilayer approach to hygiene. Its sleek stainless-steel case not only looks good but also helps remove odour from fingers and hands by attracting the sulphur molecules deposited by foods such as garlic and onions. Unlike other stainless-steel soap bars though, SmartBar™ can also be filled with liquid hand soap meaning you can have thoroughly clean and fragranced hands in one go. Simply fill the unit with liquid soap and then press the silicone button to dispense a small amount into your hands through the non-drip valve at the back of the product. For mess-free storage, SmartBar™ even comes with its own silicone draining mat. Hand wash only. These distinctive brushes make full use of space around the sink… by conveniently storing inside it! The design incorporates a non-slip resting point that enables each brush to be stored on the inside edge of the sink, thereby saving space and allowing excess water and soap suds to drain neatly away. The dish brush has a non-scratch brush head which is curved to help clean in the corners of trays and an integrated pan scraper for tough food deposits. Dishwasher safe. Streamline your sink with this neat, compact design. This sturdy palm-held washing-up brush features an easy-fill washing-up liquid reservoir that dispenses the required amount of soap with a simple push of the top button. Its compact size makes it easy to control and ideal for cleaning pots, pans and dishes. The brush has its own convenient storage stand that allows it to drip dry hygienically and the whole thing dismantles for easy cleaning. Wash by hand. Cleaning glasses and cups is quick and easy with this handy in-sink washing-up brush. Its rounded design and durable bristles make it fast and effective and it features a strong suction cup at its base to ensure it stays firmly in place during use. When required, a small tab on the base makes it easy to remove. Suitable for glassware or crockery up to 14 cm tall. Wash by hand. Cleaning sharp knives and cutlery can be a hazardous task, but with this innovative washing-up brush it’s much safer. The unique wraparound design allows you to clean both sides of a utensil at once, whilst keeping your fingers away from any sharp edges. Its tough bristles quickly remove food debris and the textured grip helps prevent your hand slipping. After use the brush can either be stood on a draining board or placed on the side of a bowl to dry. Wash by hand. Design by Morph. Design registered. the bowl to save space.For convenience, the cutlery pot can also be placed anywhere on the dishrack. Large handles on the bowl make carrying easier and all elements can be stacked together for compact storage. Wash by hand. Designed by Morph. Design registered. This basic piece of kitchen equipment is given a stylish and practical update with this smart, thoughtful design. It has an integrated plug which means water can be quickly drained away, eliminating the problem of lifting and emptying a heavy bowl. The plug can also be set to strain the water for food particles, allowing them to be easily disposed of and helping to prevent sink blockages. Its steep sides help keep water and soapsuds safely inside and large carry handles mean it can be easily carried, if required. Perfect for use in the sink or for washing dishes anywhere. Hand wash only. This innovative product makes the task of tearing off paper towels much easier, particularly one handed. The design incorporates an upright tearing blade that provides a convenient edge against which to tear and its heavyweight, non-slip base provides added stability and excellent resistance when each sheet is pulled. Its self-adjusting mechanism fits a variety of kitchen roll sizes and ensures the roll is always held securely in place no matter how many sheets are left. The top of the tearing blade also provides a convenient carrying point, so the unit can be easily transported to wherever paper towels are required. Wipe clean with a damp cloth. Designed by Studio17 Design. Design registered. Organise messy cutlery drawers with this practical and smart storage solution. The two halves of the tray can be finely adjusted to fit a variety of drawer sizes and lock securely together once in place. The design provides four deep-sided compartments for holding cutlery, a utensil area for knives or larger kitchen tools and a handy, moveable storage dish for small, loose items. Fits a wide range of drawer sizes from 29 cm (11.4”) up to 48 cm (18.9”). Hand wash only. Totem 60 Waste separation and recycling unit Design by PearsonLloyd. Design registered. Totem 60 combines all your waste and recycling requirements in one stylish unit, whilst taking up the same amount of space as a conventional kitchen bin. It has a 36-litre (9.5 US gallon) general waste compartment at the top, which has a removable inner bucket that takes custom-fit liners or standard bin liners. The bucket includes liner-retaining holes, to prevent messy bag overhang, and breather vents that make removing a full liner easier. A carbon filter inside the lid helps eliminate odours and saves you emptying a half-full bag just because of the smell. At the base of the unit is a multi-purpose drawer. Offering flexible use, this comes with a removable divider thatâ&#x20AC;&#x2122;s perfect for separating different types of recycling and features specially designed hooks that allow you to fix two standard carrier bags inside. Alternatively, custom-fit liners are available for a perfect fit. Totem 60 also features a removable food waste caddy. This can be stored on a kitchen worktop, in the general waste compartment or in the multi-purpose drawer - whichever suits you best. Custom-fit compostable liners are available as well, which fit neatly inside with no untidy overhang. The caddy is also available separately. Totem 48 Waste separation and recycling unit Design by PearsonLloyd. Design registered. Totem 48 provides the perfect solution for households requiring less capacity. It features a 24-litre (6.3 US gallon) general waste compartment plus a multi-purpose drawer with divider. Like Totem 60, the respective inner buckets are removable, take custom-fit liners (IW1) and feature liner-retaining holes, breather vents and carrier bag hooks. It also has a fingerprint proof stainless-steel lid with odour filter and a powder-coated steel body. 10-year guarantee. Welcome pack with full instructions and trial-pack of liners/odour filters included. Total capacity: 48L (12.6 US Gallons). Food waste caddy available separately. Totem 58 Recycling separation unit Design by PearsonLloyd. Design registered. Totem 58 brings an alternative configuration to the Totem range, providing additional choice and flexibility. Instead of a single space for waste at the top, it has a split, recycling compartment, with two removable inner buckets inside. These also take custom-fit liners (IW3) or standard bin liners and feature liner-retaining holes and breather vents as before. With the multi-purpose drawer and divider at the base, Totem 58 provides plenty of space for separating different types of recycling, such as paper, plastic and glass. Like other Totem products, it also has a fingerprint proof stainless-steel lid with odour filter and a powder-coated steel body. 10-year guarantee. Welcome pack with full instructions and trial-pack of liners/odour filters included. Total capacity: 58L (15.3 US Gallons). Food waste caddy available separately. Totem 4 Food waste caddy Design by PearsonLloyd. Design registered. Total capacity: 4L (1 US Gallon). Wash by hand with hot, soapy water. Stack 4 Food waste caddy with odour filter Design by PearsonLloyd. Design registered. This clever caddy has been carefully designed to help reduce the smell from collected food waste. It has a unique, ventilated design that allows air to enter and circulate inside the caddy, which helps to reduce moisture - the main cause of unpleasant odours from decomposing food. Store on the worktop. Also compatible with Stack recycling separation units. In addition, it features a replaceable odour filter in the lid that works in tandem with the fresh air to help trap any smells that do occur. It has an easy-clean polypropylene body, a flip-top lid and a sturdy stainless-steel carry handle. A liner-retaining hole inside ensures any liners stay in place and the rim of the removable lid hides any untidy bag overhang. Perfect for storing on a kitchen worktop, it is also compatible with our Stack recycling separation system. Custom-fit, compostable liners (IW2) are available separately for the perfect fit. Total capacity: 4L (1 US Gallon). Wash by hand with hot, soapy water. Stack Recycling separation system Design by PearsonLloyd. Design registered. When it comes to pre-sorting recycling at home, many people improvise using additional bags or boxes. But these are often unsuitable and only create more domestic clutter. The Stack recycling separation system provides the perfect solution to this growing problem. It consists of individual modular units that can either be stacked neatly on top of each other or placed side-by-side, depending on the space you have available. Each unit has a sliding lid to hide messy recycling, a removable inner bucket for easy emptying and colour-coded tabs to help identify recycling types. The unique, slimline design allows access to all compartments when stacked and blends discretely into kitchens and utility rooms. The inner buckets take custom-fit liners (IW1) but also have liner-retaining holes, if using standard bin liners. Stack is available as a single unit and as 2-piece set. For additional functionality, there’s also a 3-piece set that includes a food waste caddy with an odour filter. Wash by hand with hot, soapy water. Merchandisers & POS Convenient, countertop and free-standing merchandising units are available for many of our products. Disposable countertop units are made from high-quality, laminated card and are supplied fully stocked with the colours indicated. Reusable and free-standing units are made from powder-coated steel and can be replenished with stock as required. See our price list for more details (conditions apply). Gift Sets Comprehensive sets that combine some of our most innovative products in one giftable package For more details see individual product pages. All product images and specifications are based upon current information. Joseph Joseph reserves the right to make changes from time to time, without notice or obligation, to specifications, colours or materials and to change or discontinue models. Some products or features may not be available in all markets. Photography by Charlie Bettinson and Steve Wakeham. Copyright Â© 2017 Joseph Joseph Ltd. All rights reserved.